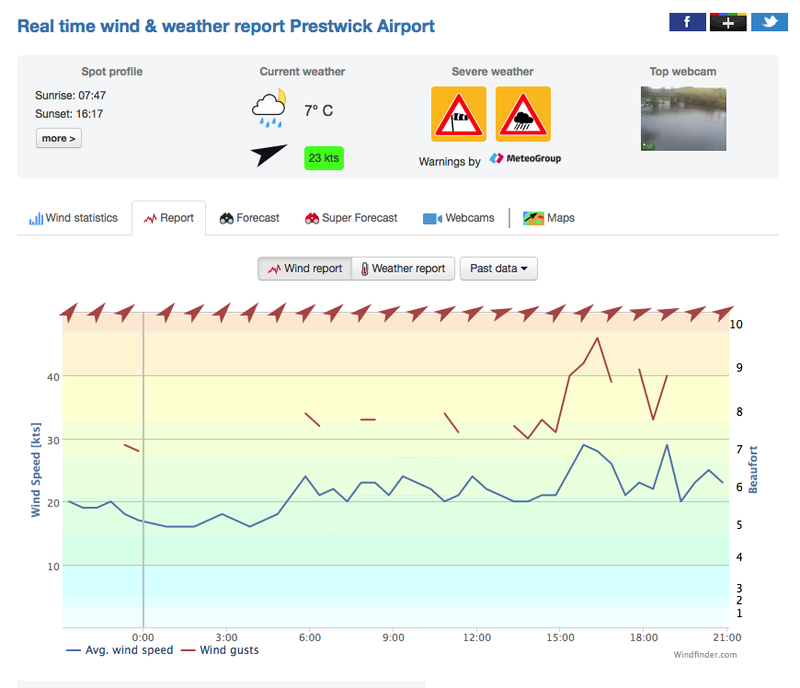 yesterday was a bit light in troon for kiting but good to dust off the cobwebs …. but heading to east coast today Longniddry that i haven’t kited before – should be fun. Longniddry is a small village in East Lothian, just a few miles from Edinburgh. 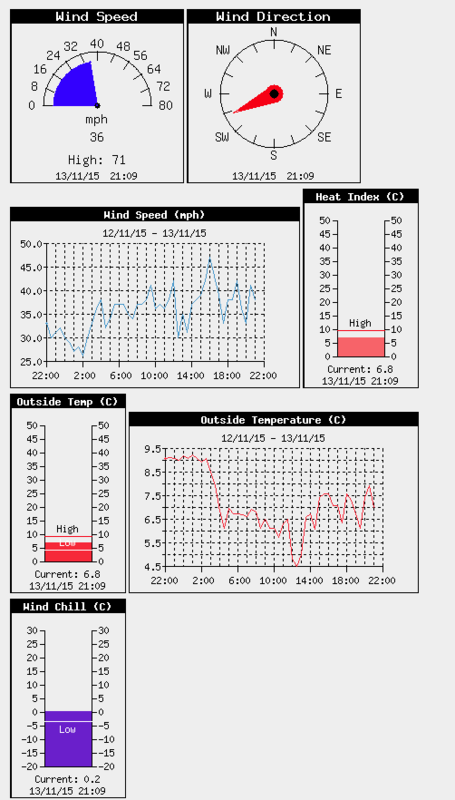 It has a relatively small wind direction range, but when it’s on it’s really good. Expect clean winds, flat water, little kickers and some nice chop. All in the same session! Believe it or not, James Bond actor Pierce Brosnan once lived in Longniddry! Longniddry will work on SW around to W but is best on WSW. 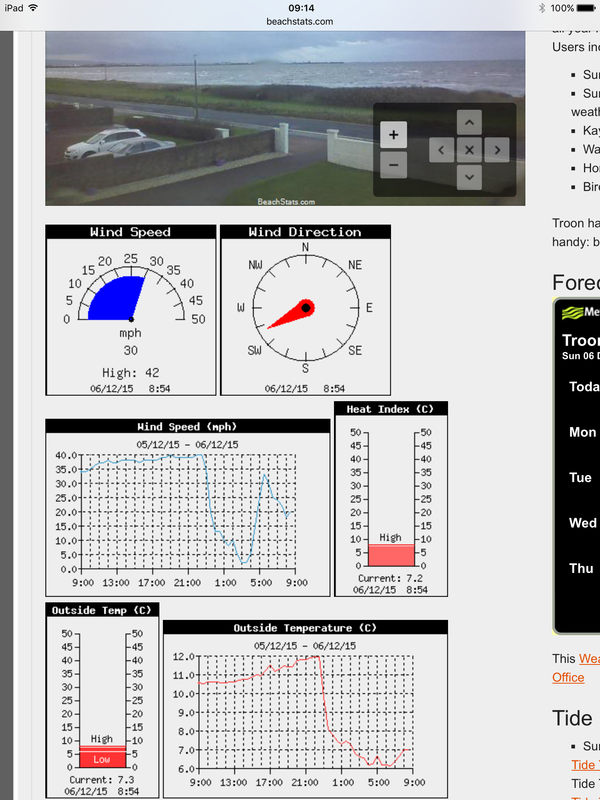 And it was too strong for kiting … but Sunday the forecast looked much better. Packed the car picked up my pal and drove down to the coast. It looked peachy but cold at 7degrees C. Gimped up in the wetsuit gloves boots and hood and hit the water with my 8m kite. Epic day with the squalls coming through and the strong gusts hitting (sometimes mid jump) meant everything was a bit unpredictable. Think I did some of my highest jumps ever – at one stage going so high that I rapidly ran out of water to land on – traveling a good 70foot before landing in about 1ft of water far too close to the beach … scary stuff and the stories that broken bones come from so a lucky escape. As i was coming down the mantra of stay smooth …. stay smooth was playing in my head. Interesting when uploading the gps track to Strava – the Fenix has a barometric altitude sensor but if you look closely at the grey track you can see hard downspikes in the last 1/3rd – those are all wipeouts where i smacked the water and the sensor took a hit. So decided I would kitesurf – took down my smallest kite the 6m Best Cabo (which feels bigger than 6m) and a twin tip board. The wind was strong but what was worse was the gusts howling in …. I was on max depower of kite with rail buried and one time I was literally lifted sideways and plonked unceremoniously 20ft downwind (sideways) at force. The jumping was good – even with a wave kite that doesn’t really shine in this area. could only manage 40min before I was wasted – back to the west end for a quick steam at the club. 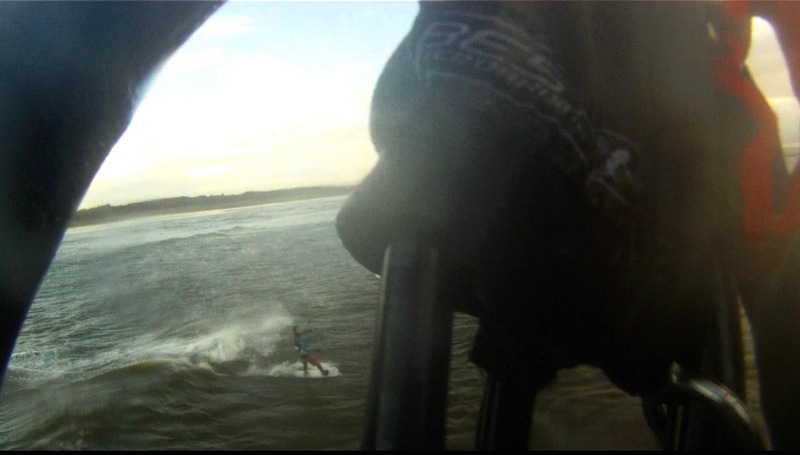 from kitesurfing last Sunday in Luce Bay …. water doesn’t look that nice from the air ….